Case File 98 over at CSI this week is full of pretty colours and lots of fun ideas - perfect chance to scrap another snap of my gorgeous little Great-Niece Leila. ... CSI Mastermind Debbi Tehrani finds a new Scene for us to investigate every week. From this, she creates an intriguing Case for us to solve, taking colours from the image as well as inspiration for design elements, techniques and journaling prompts. ... I've used a sketch by Yana Smakula for Scrap365 - I'm going to link this up with the Sketchbook365 November Sketch Challenge as well. So, did I use all the clues? You can click on the image to scrutinise it if you wish! 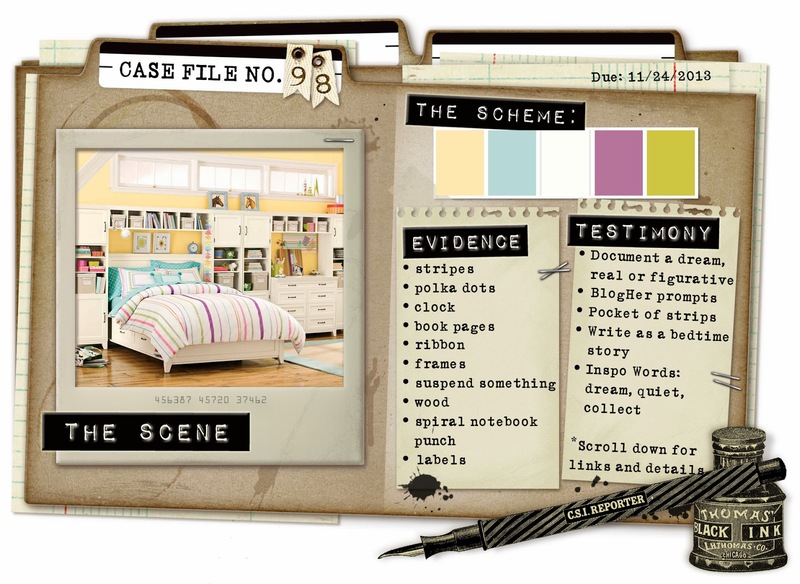 Evidence: stripes; polka dots; book page print; ribbon; frame; labels. 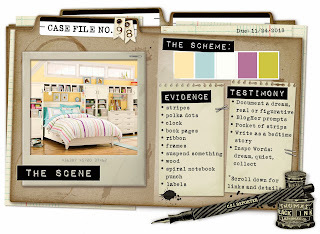 Thanks for popping in - come again soon - and make sure you have a wander around the CSI Gallery to see all the amazing pages inspired by this Case File! Love, love, love this Annie!